Go West, NASCAR fans! 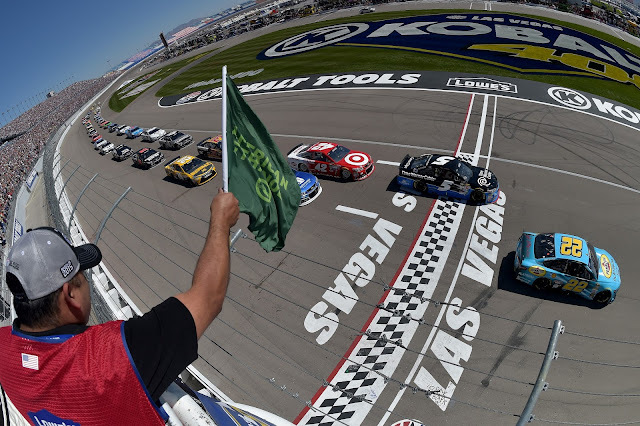 NASCAR begins its three-week West Coast swing, starting with this weekend's annual stop at Las Vegas Motor Speedway. The Sprint Cup Series and XFINITY Series converge on the 1.5-mile intermediate track. Who'll have Lady Luck on their side? The Camping World Truck Series is on an extended break. The series returns to action April 2 at Martinsville. The following is a guide to track events and television coverage at Las Vegas. All times are in Eastern Standard Time.